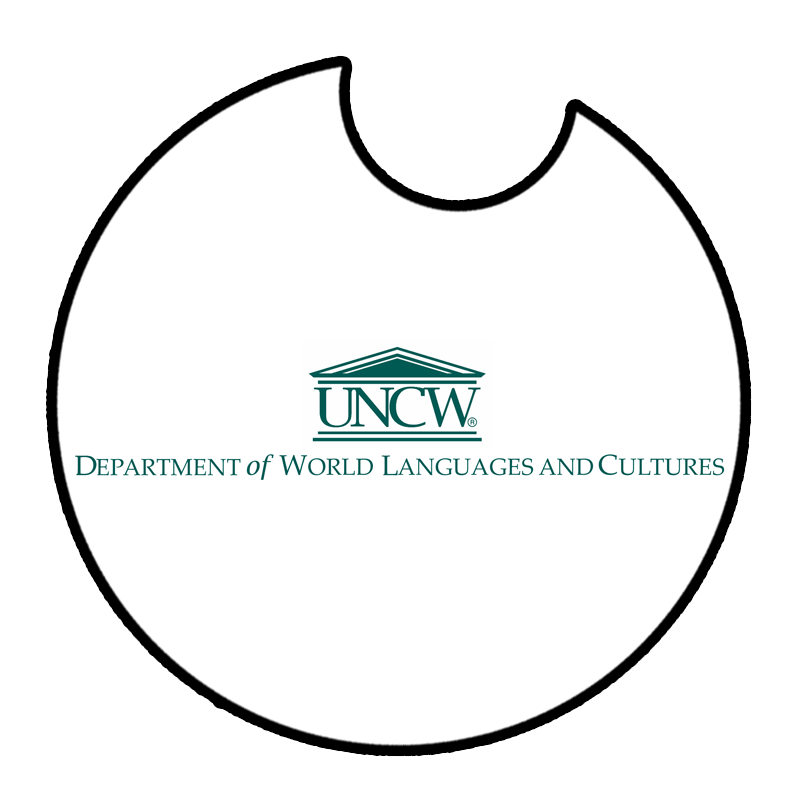 UNCW Department of World Languages and Cultures is honored to be a part of the El Quixote Festival. 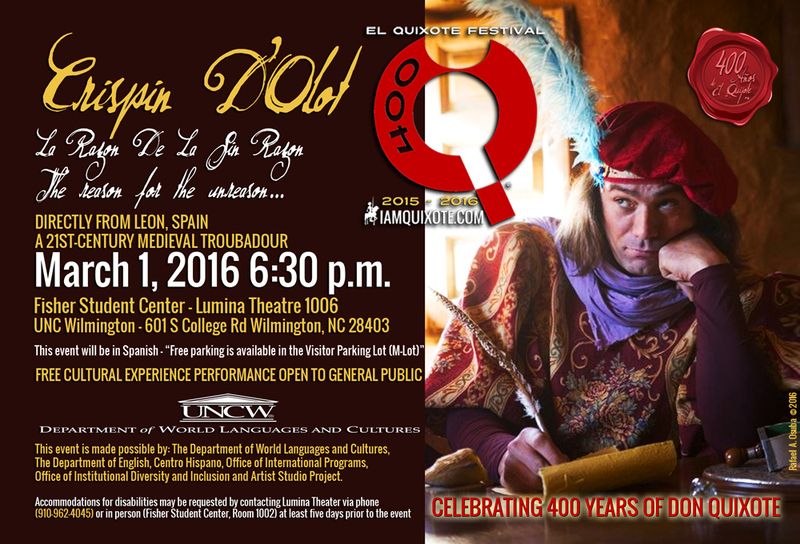 We are delighted to collaborate with Artist Studio Project in celebrating 400 years of Cervantes and Don Quixote. We are proud to bring directly from Leon, Spain, international sensation Crispin d’Olot to our University on March 1, 2015 and invite the community to celebrate with us this historic and important festival! 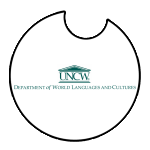 This event is made possible by: The Department of World Languages and Cultures, The Department of English, Centro Hispano, Office of International Programs, Office of Institutional Diversity and Inclusion and El Quixote Festival.